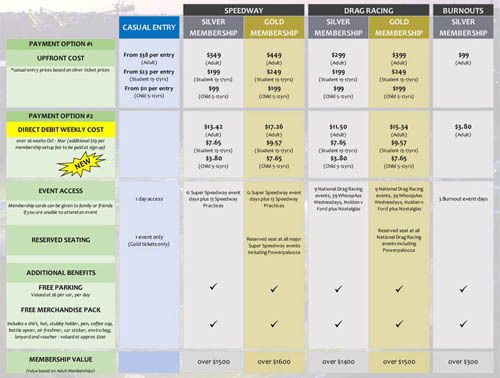 Season memberships are now available for the exciting 2018-2019 season of motorsport entertainment at Perth Motorplex. The season memberships offer excellent value to your chosen discipline plus a heap member only goodies. Plus as added bonus the first 100 to take advantage of our Season Membership offer will also receive a $50 Caltex Fuel voucher! Don’t have the cash upfront? … no problems … we can also offer weekly direct debit options to assist with cash flow so you don’t miss a second of the action!